We spoke to Dr Stephen Prior from the University of Southampton and asked him some questions about how drones can be used to help resolve the UK’s pothole problems. We quickly recognized the public’s irritation with poor quality road conditions, which affect a very large percentage of the population. Finding a way of undertaking this ubiquitous task, whilst removing road workers from this difficult and dangerous activity, led us to consider the use of autonomous robots. Using drones to do this has its advantages and disadvantages, and we are currently weighing up the potential of each in terms of cost/utility metrics. The next logical steps involve trialling alternative systems in the real world and assessing their various merits. Discussions are underway with the local council in Leeds to use their rubbish collection vehicles to install equipment to monitor and record the road condition as it traverses its regular route. The advantage of this is the ability to carry sensors and actuators without extra infrastructure. The aerial deliver mechanism would require a greater lift capability – a more futuristic solution. 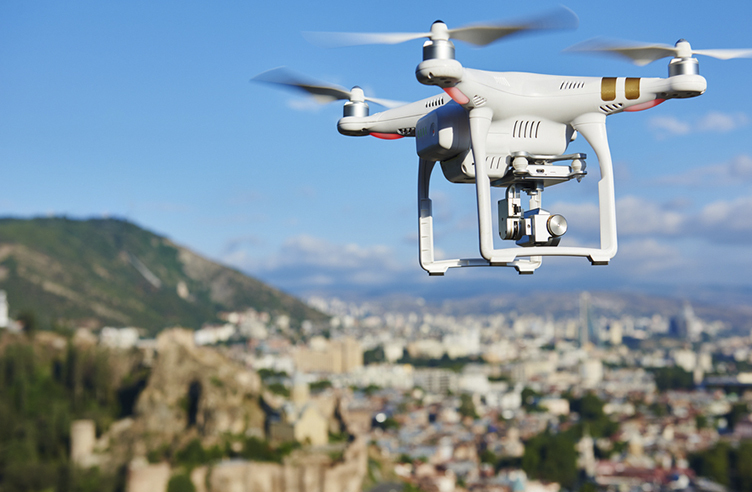 Do you think using drones can help reduce the UK’s infrastructure costs? Drones have been proven to be cost effective in many industries. Applications in the city infrastructure environment are relatively new and therefore untested. However, initial analysis has shown that these can be an effective alternative to more traditional methods. Drone deliveries are already appearing in several cities around the world, with leading companies such as Amazon, DHL and Others rolling out systems, proving the technology and cost effectiveness of this approach. How many drone operators would you need for these types of operations and how would the drone pilots be trained? At present, a single operator is required for each drone. However, in the future, we would hope that one operator could control multiple drones in a central control tower as per the current Air Traffic Control system. Pilot training is currently undertaken via the CAA’s approved training providers. 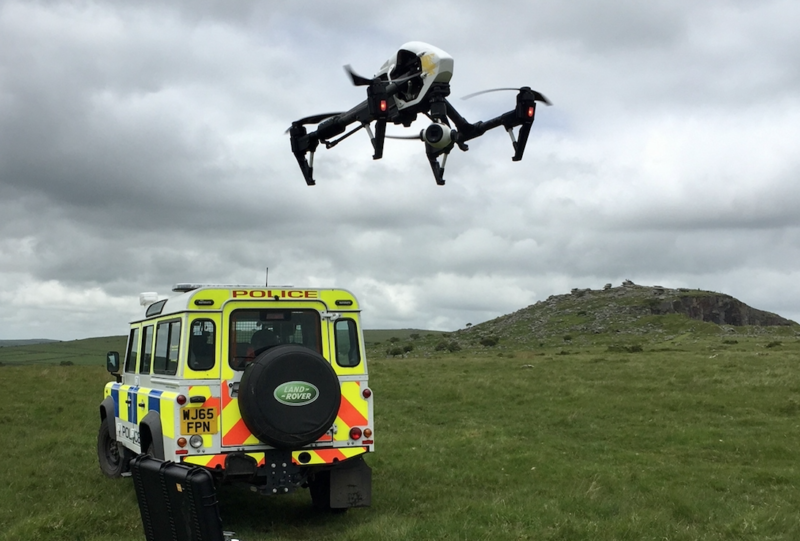 Will any of the changes proposed in the Department for Transport’s July 2018 drones consultation impact the project? All changes to legislation have an impact on our research project. As operators and researchers, we currently engage in all these conversations to steer the conversation. The new Air Navigation Order 2018, has tightened the rules somewhat, but has also freed up some previous no-go areas, such as operating at night, which is when most road maintenance is undertaken, which is a good thing. Would rules allowing for beyond visual line of sight create new opportunities for the project? Indeed, this is one of those areas which are essential to opening up all these new industries and operations. BVLOS allows cost effective operations at range. However, this is also tempered by the current generation of drones that can only fly for 20-30 mins. This also has to improve to allow greater range whilst carrying sufficient payload to make these type of tasks feasible. This is an exciting project, which is both novel and challenging. The UK has an opportunity to lead in this important area and agencies such as the CAA, DfT and NATS all have a role to play in enabling this to happen. Dr Stephen D Prior is Reader in Unmanned Air Vehicles within Engineering and Physical Sciences at the University of Southampton. Dr Prior gained a BEng Mechanical Engineering degree in 1987 and PhD in Robotics from Middlesex University, London in 1993. He is a Chartered Mechanical Engineer, Corporate Member of the IMechE and Fellow of the Higher Education Academy. His research interests are in the areas of Drone Design, Autonomous Unmanned Systems, Robotics and Design Engineering. He was Project Lead for the MoD Grand Challenge i-Spy team in 2008 and was the Team Leader for Team HALO, winner of the DARPA UAVForge Competition 2012. He has been an editor for the International Journal of Micro Air Vehicles since 2010 and Unmanned Systems since 2012.